“Why police was sent to my residence. I am not a terrorist or an anti-social element” / “Restore My Judicial Work Or Send Me To Jail. arrest me”. 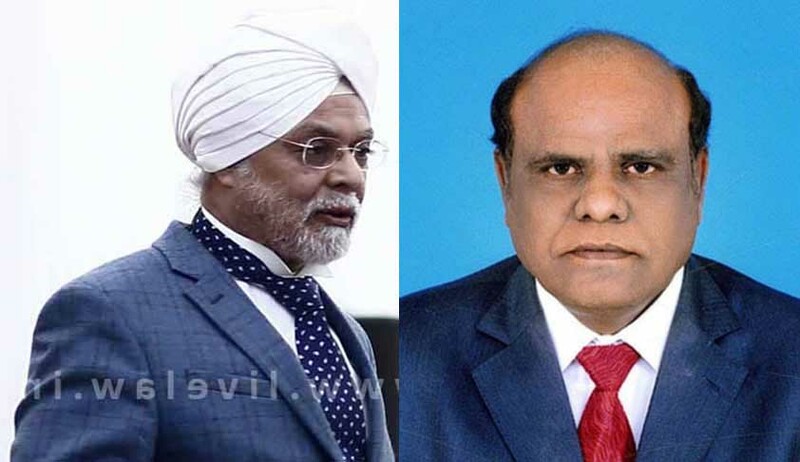 Calcutta HC Judge Justice C S Karnan to CJI-led bench during the contempt case hearing. Live Law presents you with the gist of the one-hour long gripping court room exchange. Justice Chelameswar: Our question now is do you wish to be defended by a lawyer? A counsel? If you want we can appoint somebody. CJI: The letter of March 25 you say complaint withdrawn against all 20 judge. Then you say allow me to work and then you will supply us with material to prove the complaint against the judges. We are not able to understand. You still stand by your allegations? AG: The point is that I personally feel that from the point he made the allegations, coupled with scandalous press conferences, stayed his transfer, the gentleman knows what he is doing. CJI: When we issued a notice to you you did not enter presence..Why? that is why bailable warrant was issued..It is not as if you are a terrorist. Despite being a judge you were not complying with a court’s directions. Karnan: I want punishment. Send me to jail. Please record this. I will not appear before you next hearing. Arrest me. Put me in jail"